There was an old chest in the house when we moved. It was the chest of my husband's grandmother. 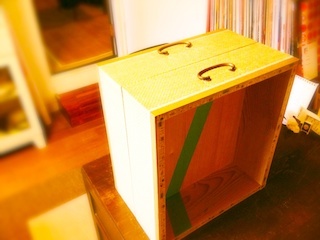 I'll make a small shelf with a drawer of the chest. Just paint masking tapes on it.